Broadcaster WDR says documents from Stasi archives show ‘deep cooperation’ between IKEA and the East German government. IKEA founder Ingvar Kamprad is an alleged Nazi sympathiser - and his company is now said to have used slave labour in its East German factories. SWEDISH FURNITURE company IKEA used prisoners taken by the East German state security service, the Stasi, as a form of cheap labour in the 1970s, a German TV report has claimed. Documents obtained by state broadcaster WDR, sourced from the recently-revealed Stasi archives, indicate ‘deep cooperation’ between the East German authorities and the furniture chain known for its flat-pack products. 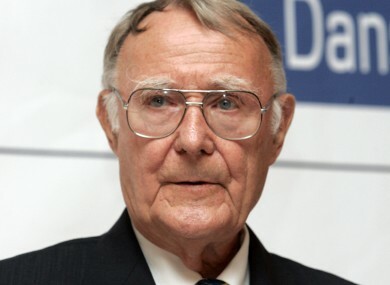 IKEA founder Ingvar Kamprad is quoted by the files as not being officially aware of any arrangement for slave labour, but Swedish site The Local quoted documents which indicated he would be in favour of the idea. The Swedish report added that one large IKEA factory – where the popular Klippan sofa was produced – lies close to a prison in the Saxonian town of Waldheim, and that a former prison officer from that town said he was aware of some prison labourers being involved. The Daily Telegraph interviewed one former inmate at Waldheim, Hans Otto Klare, who shared some of his experiences of involvement in IKEA manufacturing. Up to a fifth of East Germany’s prison population was detained for political objections to the ruling communist regime. Other prisoners said they only learned of the nature of their work after the fall of the regime, when they saw their products on sale in IKEA shops. IKEA told the German documentary that it was unaware of any use of prison labour, but apologised if any had been used. A Swedish book has previously revealed that IKEA foudner Kamprad was a serial recruiter to Sweden’s main branch of the Nazi movement during the Second World War, when he was a teenager. Email “IKEA 'used Stasi prisoners for slave labour' - German report”. Feedback on “IKEA 'used Stasi prisoners for slave labour' - German report”.